Reiki is a healing therapy for body, mind, and spirit. Reiki is the Universal Life Force Energy that is channeled from the Universe. Rei is one of the universal rays of the light spectrum and Ki means life force energy. Reiki allows the body, mind, and spirit of an individual to relax and heal by using light wave energy and the life force energy. It was rediscovered by Mikao Usui in 1914. He searched for spiritual awakening and a method of hands-on healing and he found it through his research of Buddhism. He healed and taught this new healing technique in his native Japan until his death in 1926. Hawayo Takata was trained in the Reiki tradition and brought it back to Hawaii. From Hawaii Reiki has spread to the United States and other western societies. 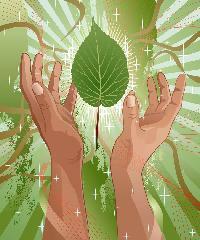 Reiki healing will work on opening the individual to the healing power that we are all capable of manifesting. This energy from Divine Source, the Godhead, or God is available to every being on the planet. A Reiki healing usually lasts from 45 minutes to one hour when done in person. The Reiki practitioner places her hands at places on the body or just above the body from head to toe allowing energy to flow for the Universe through her hands and into the client’s body where it is needed. Distance healing is just as effective and usually takes less time. Energy can be sent to a client over any distance. It will heal the parts of body, mind, or spirit where it is needed. A Reiki treatment will relax all levels of your being in order to accept and utilize its energy. Studying Reiki and becoming a Reiki I student will begin a journey of self-healing and spiritual self-discovery. It will allow the student to do Reiki healing on oneself and on others. Reiki II advances the student to practitioner level with more energy and the means to send distance healing energy to others. As one moves along the path, the decision to share Reiki might inspire one to complete the Master level studies. The Master level steps up the Reiki energy and allows one to teach others. Reiki is always used for positive energy transfers. It can not be used for negative since it is divinely orchestrated. There are many brillant texts available to address one’s curiosity and advance one’s study. Just for today, do an honest day’s work. Just for today, be kind to all living things. Reiki I Class – $175. Reiki II Class – $175.